In October 2016, ART-DECOR® Open Tools has been established as an Entrepreneurial Company with limited liability (German Unternehmensgesellschaft mit beschränkter Haftung). It handles commercial aspects of the ART-DECOR® tool suite development and thus complements the ART-DECOR® Expert Group that drives the development. We heard questions about a possible change of license, intellectual property rights or copyrighted material because of the ART-DECOR Open Tools company. The ART-DECOR® tool suite remains open source as before, neither licensing nor intellectual property rights have changed by the formation of the ART-DECOR Open Tools company. All intellectual property rights of projects and included artefacts that are run on one of our servers is not touched and remains with the governance group / persons driving the project. What about the logo colors? 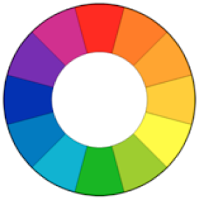 We were asked about the background of the logo colors, as for the ART-DECOR® Tool the main color is orange. 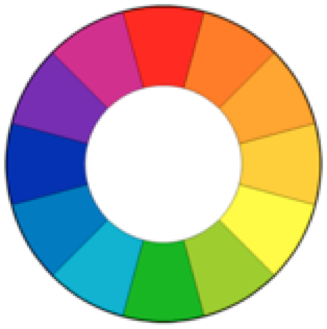 In Sir Isaac Newton’s (1666) color wheel the light blue is the opposite of the orange we usually use (as the commercial branch is something like the opposite of the open source branch). The dots come from the two dots of the trademarked ART-DECOR® logo. The dots are also used for the logo of the ART-DECOR Expert Group driving the development of the tool with the color orange.